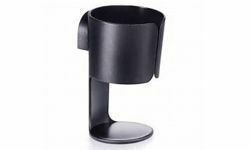 A coffee for you or a drink for your little one, this cupholder carries your drinks without spilling. Clips onto most Quinny prams and pushchairs. Keep it cool and create perfect shade with this protective parasol (UV 40+). 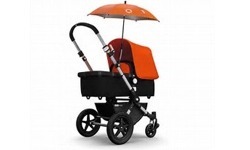 Designed to fit the parasol clip that comes with all Quinny pushchairs. 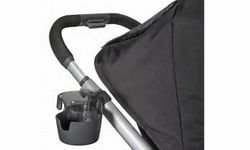 The Bugaboo parasol attaches easily to your bugaboo pushchair to keep your child protected on sunny days. Three pivot points ensure there’s shade no matter where the sun is in the sky. 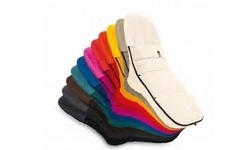 The bugaboo footmuff keeps your child warm, protected and adds a dash of colour to your pushchair. 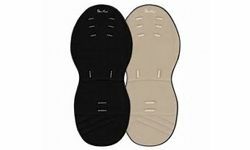 The fabric is treated with bamboo charcoal that wicks away moisture and keeps your child dry and comfortable. 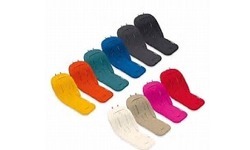 The cover of the footmuff can be partly opened, or completely removed when it becomes too warm. 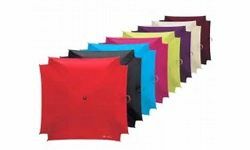 A range of colours allow combinations that suits every mood and style. The bugaboo smartphone holder’s convenient click & go system lets you easily mount your smartphone on the handlebar of any bugaboo pushchair. 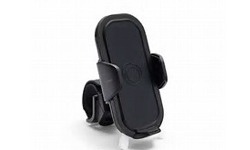 The smartphone holder’s 360° rotating ball joint lets you view your screen any way you like. This makes navigating, taking photos, tracking workouts or listening to music – while exploring the world with a child – easier than ever. The elegant PRIAM footmuff offers cosy fleece-lining in a leather- and denim-look. Water-repellent materials protect from cold, wind and rain. 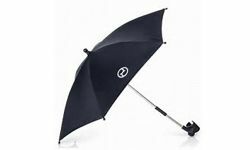 The individually adjustable parasol can be attached to the frame and offers extra shade and sun protection. 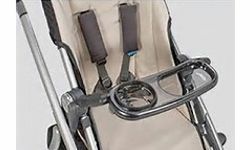 The cup holder can be easily attached to either side of the PRIAM's handle bar to provide a drink for you or your baby. 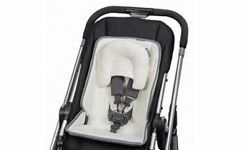 The UPF 50+ hood is multi-positional, and clips easily to both the newborn carrycot and the pushchair seat unit. 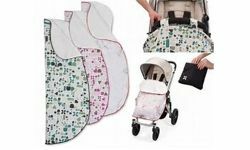 The deep padded protective apron top zips simply on to the carrycot to create a warm and snuggly environment for your newborn. 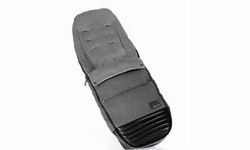 When you're ready to use the pushchair seat more, the supplied apron bottom zips to the top to create your cosy toes apron that slides easily over the pushchair. 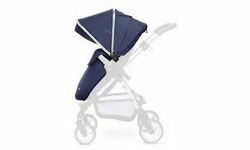 The apron clips securely in place in both carrycot and pushchair mode, and a padded apron flap folds over the bumper bar in both modes too. The smart and stylish way to offer extra sun protection for your baby on those hot and sunny days. 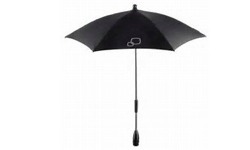 The parasol clicks on and off the with a simple push button mechanism. The chrome finished stem has a strong, flexible base that allows you to move your parasol into any position, and the easy-release parasol mechanism lets you take it down quickly and easily. 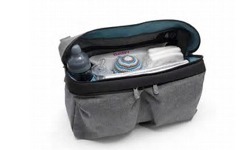 The ideal on-the-go drink carrier to fit your stroller. 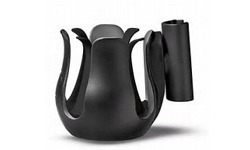 Holds various size beverages. 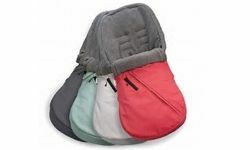 A perfect fit with the VISTA and CRUZ, the BabyGanoosh Footmuff keeps your child toasty warm no matter what elements Mother Nature brings your way. Now you and your little one can enjoy the outdoors even on brisk days. 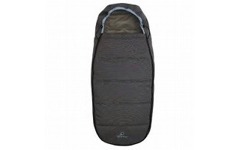 Soft and snuggly blanket that keeps your child warm in their UPPAbaby pushchair. 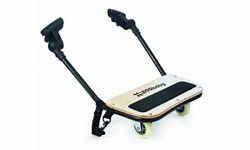 Fits perfectly over the VISTA/CRUZ bumper bar, and does not slip to the ground while strolling. 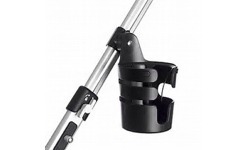 Also has a universal strap holder to fit any pushchair with a harness buckle.